The Marvel Cinematic universe is going to further expand to include 70 + comic-book characters who are likely to appear in Avengers 3 and Avengers 4. 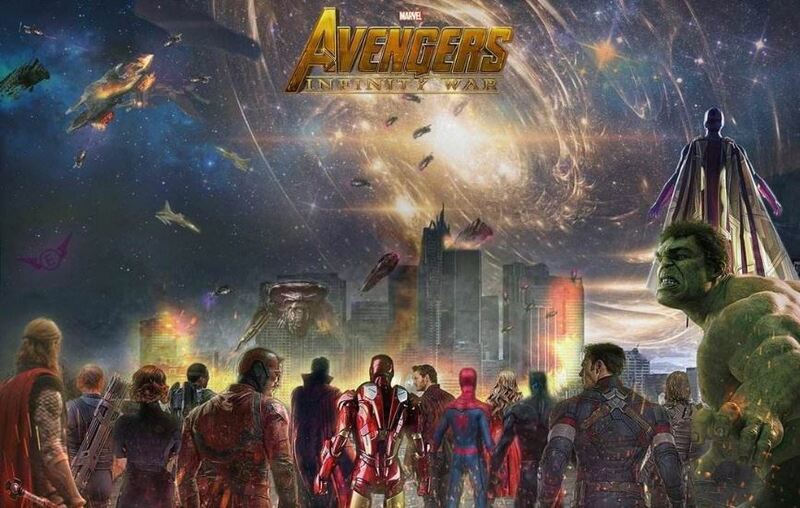 Marvel has managed to assemble a magnificent cast under one roof to create a mega comic-book event as part of phase 3. 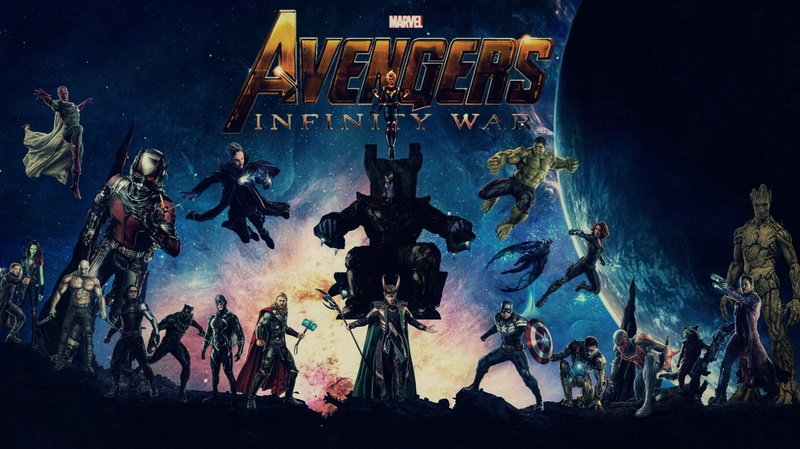 The Infinity war films are the most awaited superhero ensemble movies of the 21st century. Kevin Feige (President, Marvel Studios) thinks that it’s the culmination of the entire MCU since it started in May, 2008 with the movie Iron Man. He further confirmed that there will be a crossover of Avengers and Guardians in Infinity War which will continue in the next Avengers movie. 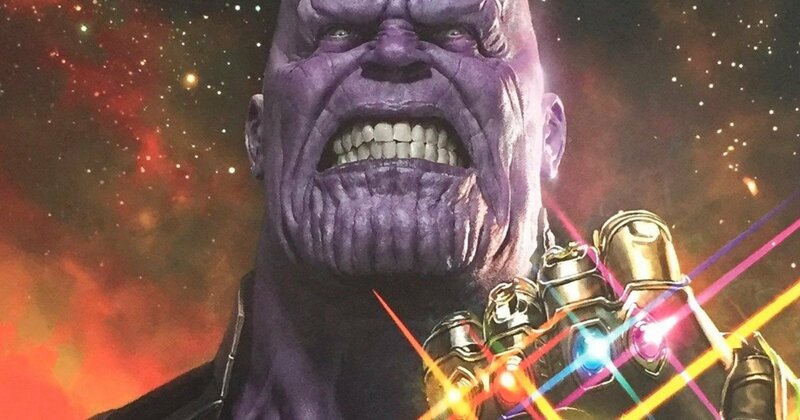 The classic comic-book story will remain the same where Thanos first finds out where all the Infinity gems are, assemble them and create an all-powerful Infinity gauntlet, cause a worldwide catastrophe and then in Avengers 4, Team Avengers and Guardians of the Galaxy unite and fight against the mad Titan to save the mankind. 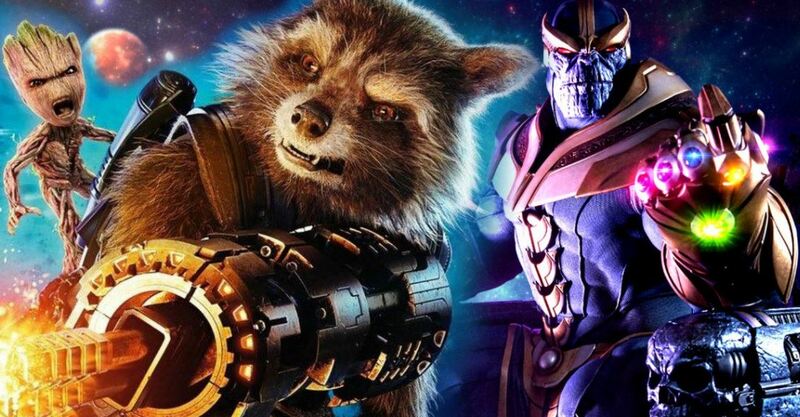 Although, the cast is stacked up with superhero heavy-weights but the most important character in the movie is Thanos. 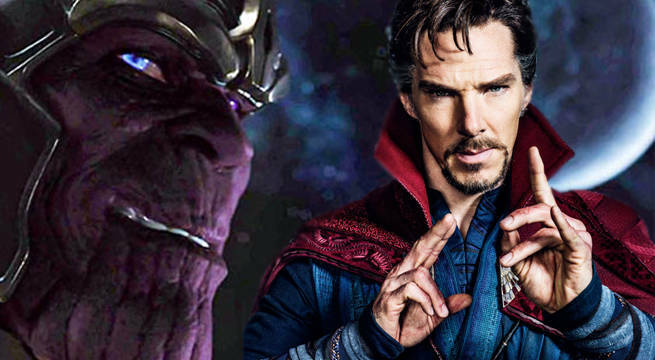 Till now, he has been teased in Marvel movies in post-credits of Phase 2, 3 films, but Infinity war will be the first major project where he is going to be the big villain hell-bent on destroying the world. In the movie Guardians of the Galaxy Vol. 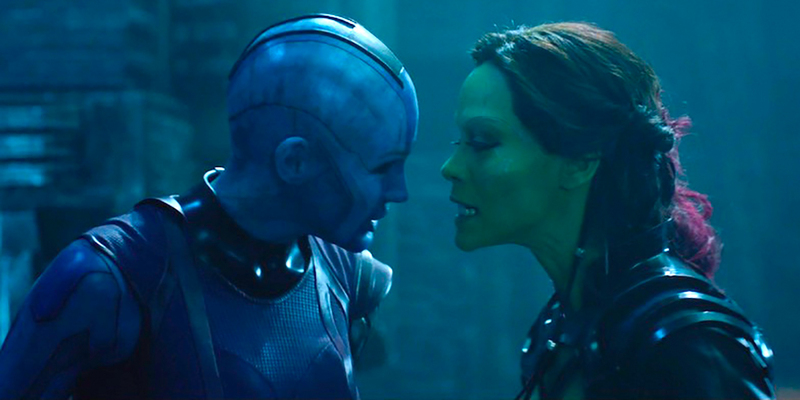 2, we saw Gamora’s sister Nebula played by actress Karen Gillian, at first fighting against the Guardians but later on joined their crusade against Ego The Living Planet or Celestial. She is now officially part of Guardians of the Galaxy. The actress shared an image of her transformation into Nebula and it’s really painstaking. She revealed that the audience will learn dark things about her past. We came to know how Thanos (her father) used to beat her every-time she would lose a fight to her sister Gamora. In the end, things took a positive turn and sisters patched up their old wounds and sorted their differences out. 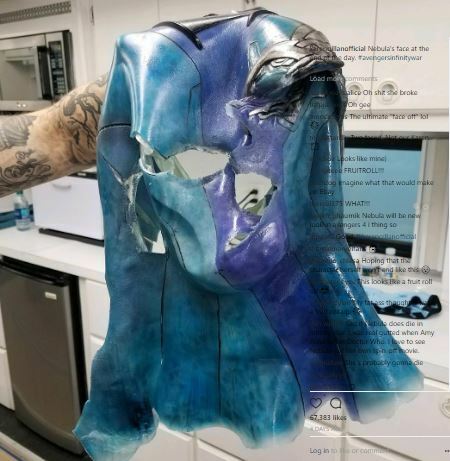 In the new Avengers Infinity War photo, we see Nebula’s prosthetic mask being ripped to shreds as if she has been smashed by someone. Who else could it be except her adoptive father who loves to beat her down. There is a theory circling around that she may gain control of Infinity gauntlet at some point of time if the makers decides to go on a comic-book route. The hype around Avengers Infinity War is real and is building up rapidly with new stuff coming out almost every week. Two weeks ago, Benedict Cumberbatch started shooting his scenes in Atlanta and he has appeared in plenty of set photos that came out recently. A new video has come out on the internet which shows Dr. Strange fighting unseen forces, summoning his magical abilities, blocking an attack forming an X with his hands. This powerful invisible force pushed his arms down and brought him to his knees. 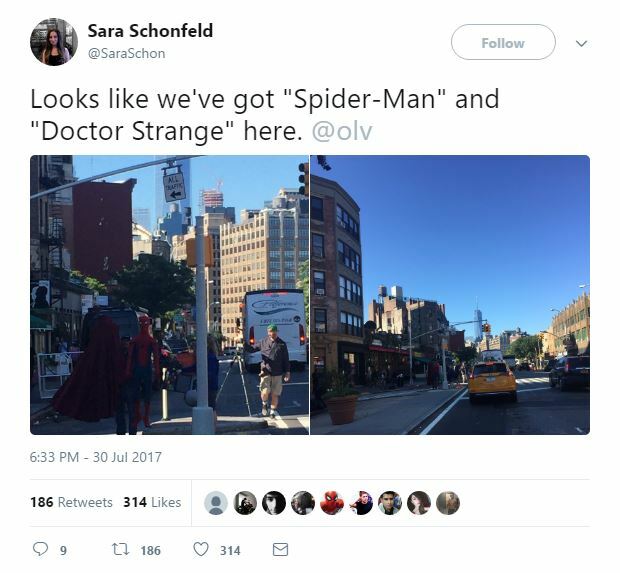 It is very much possible that he is fighting the Mad Titan himself. The reason for this attack could be the retrieval of “Time stone” a.k.a Eye of Agamotto transported back to Kamar-Taj in Nepal for safe keeping. The movie is slated to release on May 3, 2018. CHEERS!